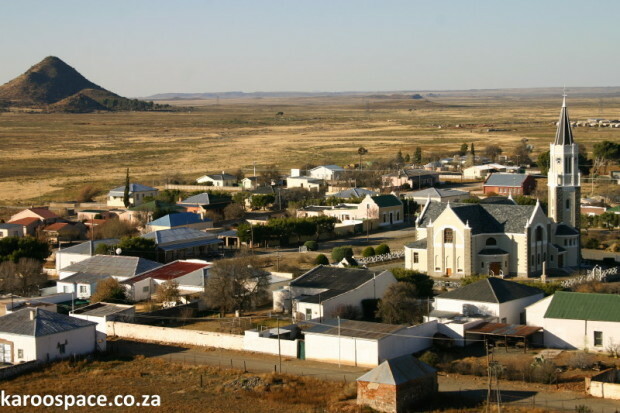 Hanover and the Great Karoo vastness – viewed from the Trappieskoppie. On a summer’s night late in the year, you might find yourself in Hanover with the skies turning black with birds on the wing. Take a deep breath, look up and enjoy. You are witnessing our Russian guests arriving for the season in the form of thousands of lesser kestrels. And the locals and visitors just love to look at them in the evenings as they return from a day’s foraging to roost in the town trees. The lesser kestrels are small, hardy little insect hunters who come here to feed, moult and sleep. They fly all the way from Siberia and Kazakhstan, across the Urals, over the Saudi deserts, over the Mediterranean, North Africa, the Congos and finally to Hanover. 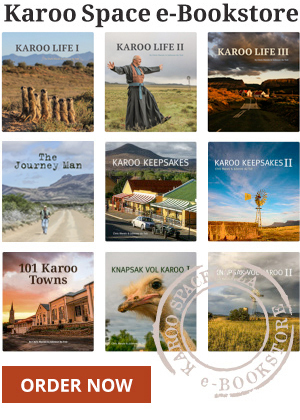 The other Hanover treat you shouldn’t avoid is a last light – first light climb up the steps of the Trappieskoppie which not only gives you a fabulous look-out over Hanover, but you can see the vast Karoo beyond. 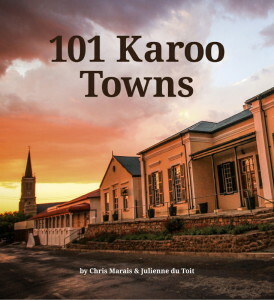 Trappieskoppie is a dedication to one of Hanover’s heroes, a magistrate called Charles Beere. Not only was he blessed with a nice name, but he had the foresight to tell the residents of Hanover to grow trees, lots of trees. And he looked up at the nearby koppie and decided that visitors would love to look down from that vantage point. So he commissioned a bunch of local convicts to build steps to the top of the koppie. And today we all have to thank Mr Beere for Hanover’s shady trees and stunning viewpoint. Even if you’re not staying over at the Hanover Lodge Hotel, you should at least go for a nightcap at their Baa-Bar, which is dedicated to the local sheep industry. Full of farming hand-me-downs, leather work and even a flying stuffed sheep, it’s a drinking hole with attitude. Another place to stay is Bunclody Guesthouse. Typical farmhouse styled, and the food prepared by Tannie Tossie is simply the best in town. Oom Daan is also a font of information, and would be happy to take you on a tour of the town.